Sometimes genealogical research is not about finding ancestors so much as finding out about one person’s life – however short it may have been. Over the last few years, for a couple of projects, I have researched the lives of some of the former pupils of a school in Glasgow where I look after the archives. One of these projects was to try learn some more about those who served in WW1 and in particular those named on the WW1 section of the school’s war memorial. Not only did this work lead to the discovery of half a dozen names that are missing from the memorial, but also to the fascinating discovery of copies of, and some original, letters sent by the soldiers to their families. In a letter written just over 3 months before he was killed in July 1918 at the age of 19, one talks about how he hopes for a “full-time leave – when the excitement caused by the big affair in France has blown over”. 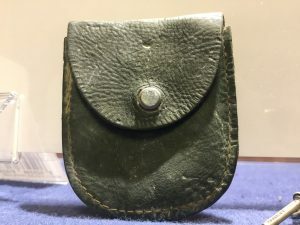 Earlier he had asked his family to send him soap but “just one piece at a time” and for a leather purse “as coins are apt to fall out of pockets at nights when things are folded.” That purse is now part of the schools archive collection, having been donated to the school along with letters, photographs and other items, by his sister. The archive also holds a copy of a letter from another former pupil. This one is dated 14 – 9 – 16 and closes with a P.S. “….I would not be surprised if I was home soon”. Sadly, he was killed the following day in what his commanding officer described as “the most glorious of circumstances that have ever been the lot of man”. A strange description to our modern way of thinking but quite commonplace at that time. Of course, there were many former pupils and staff who fought and survived, gaining mentions in dispatches, commendations, medals and awards of all sorts. 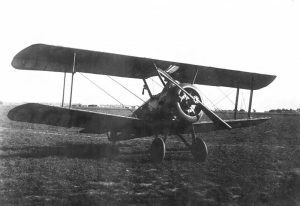 One such individual signed up at the age of 17, and went on to become a Sopwith Camel pilot, firstly with the Royal Naval Air Service, then with the Royal Air Force. He was awarded the Distinguished Flying Cross for shooting down eight enemy aircraft over a period of 3 months. After the war he qualified as a doctor and then, not content with having done his duty as a pilot, during WW2 he served in the Royal Army Medical Corps in Egypt and Libya during which he was awarded both the Distinguished Service Order and the George Medal.